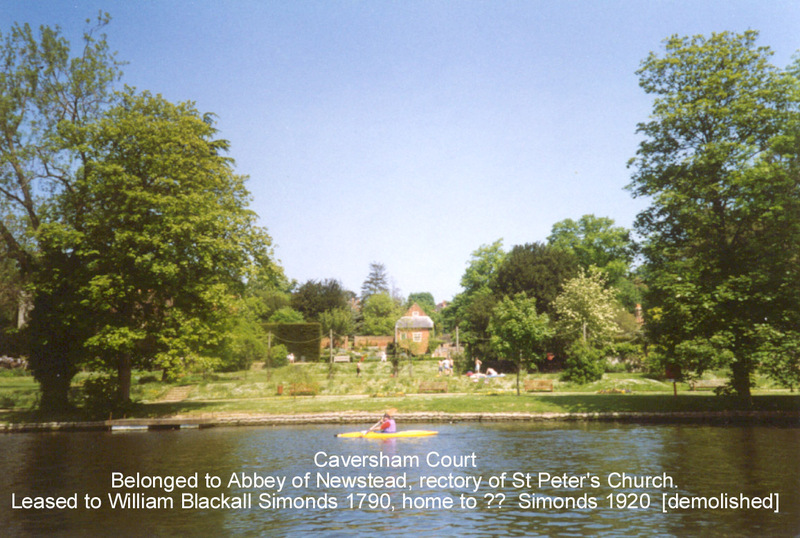 The grand Caversham Court was on the North bank of the River Thames, just across Caversham Bridge, North of Reading. First occupied in 1799 by William Blackall Simonds (1762-1834) who re-developed the old house known as Caversham Rectory into a mansion. It then had 25 rooms, with its own Brewhouse, boathouse, carpenter’s workshop, extensive stables and of course the only building still remaining from the period, the ‘Summer House’ now called the Gazebo. Its owner also still had rights to ‘impropriated tithes’ though I cannot find when these rights ended. William immediately started extracting chalk and flint from a quarry on the estate and in 1810 started major improvement work. 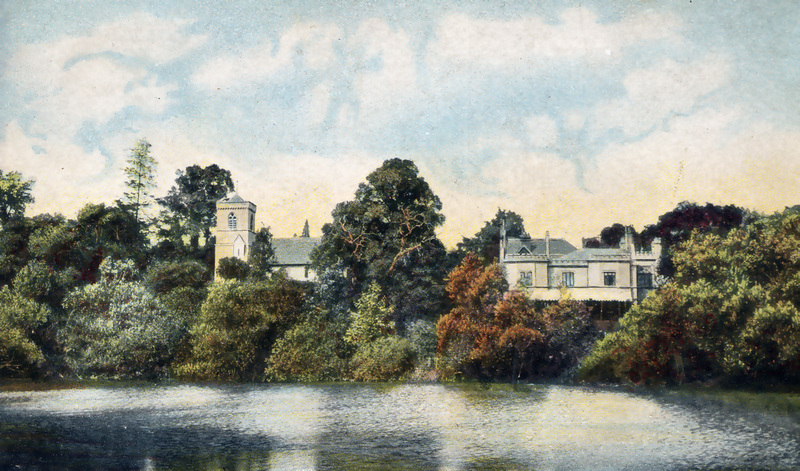 In 1818 William also acquired the freehold, from Christ Church Cambridge. On William’s death, the house was inherited by his eldest son Blackall Simonds (1784-1875) who continued to use it for business purposes, it was also let from time to time. Blackall and his wife Emma Jane Usborne (1797-1885) were still living there for the 1845 census, before they retired to a new Caversham House in Dover Street, Ryde, Isle of Wight, (see below) when the house was again let for about 20 years. Blackall & Emma’s only child George died young, so it passed to his nephew, Henry John Simonds (1828-1896) and his wife Mary Julia Pilati (1836-1874) who developed it extensively again in the Pugin style before they moved in during August 1866. They lived there till Henry died in 1896, when it passed in turn to his only son Henry Caversham Simonds (1867-1918) who had been born there. He could not afford the upkeep so sold off the chalk pit and then parts of the land before putting the house on the market in 1909. Soon after this, the house ‘moved’ from Oxfordshire to Berkshire – as a result of boundary changes. The house was demolished in 1933 and the site was restored into a very fine park in 2010. There is more information on the park website HERE and an excellent book is available.